After a day (or two) to recoup from a turkey & dressing induced coma, I felt like trying something different with my makeup; I’d been using the same foundation for over a week — gasp! So, after digging through my drawer of foundations I spotted my Maybelline Dream Matte Mousse Foundation (in Classic Ivory). I hadn’t used that for a while, mainly because it was so hard to apply without it caking up with the sponge I was using. That’s when I realized — ding, ding! 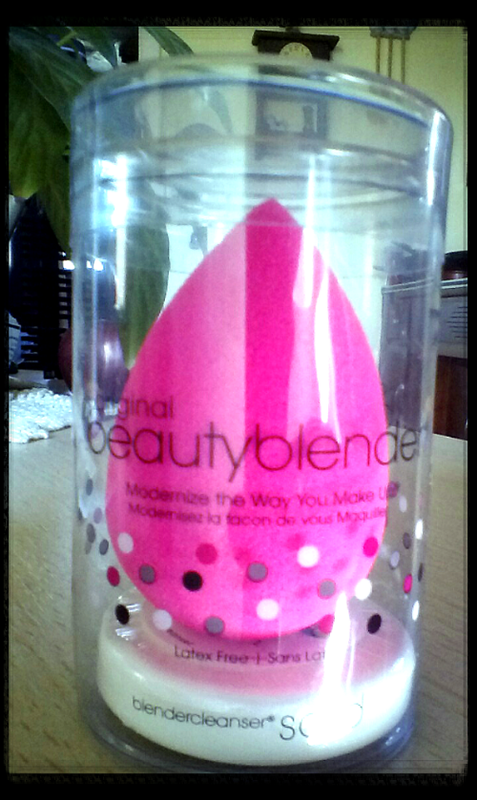 — Birchbox sent me an Original Beauty Blender! Honestly? This little pink, egg-shaped sponge is the most awesome makeup tool, ever. Period. I wet it, squeezed out the water & dunked the Beauty Blender into my pot of Maybelline Dream Matte Mousse Foundation. The first thing I noticed was how smoothly & evenly the foundation went on, compared to other sponges. The second was how little foundation I needed to get the coverage I wanted, compared to other sponges. The pointy end was great for application around my eyes & nose, & really came in handy. & let me say, Maybelline is all that, too. I know, their Dream Matte Mousse Foundation isn’t as prestigious as a $60 foundation, but that only makes Dream Matte Mousse that much more awesome! It’s got such great, buildable coverage. Anyway, I’m kicking myself for not using my Beauty Blender before now, because it really is all that! Have you experienced the wonder of the Beauty Blender? What about the knock-offs? Do you think the knock-offs work as well as the Original?